Welcoming you to the beating heart of Athens, in the most central and privileged location for absorbing all the city vibes. 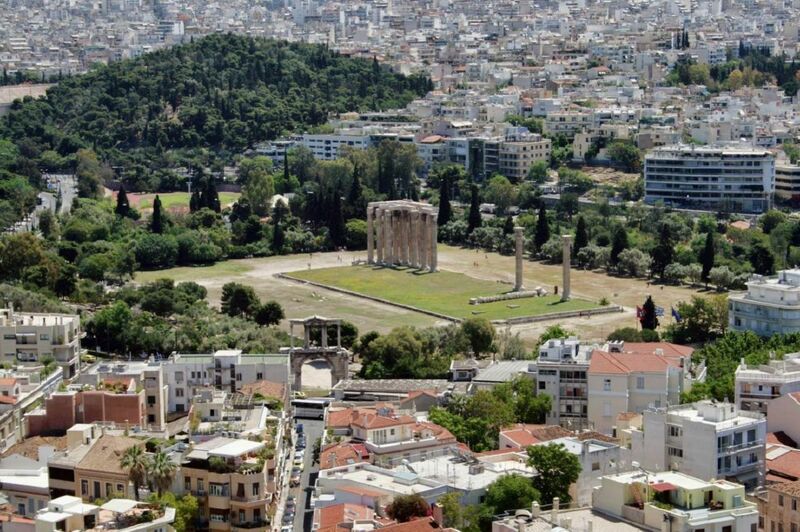 Our dream location means everything you desire to see or do in Athens is at your feet, and within walking distance. At just a stone’s throw away from the iconic area of Plaka, the Greek Parliament and the central metro station of Syntagma Square, the city’s treasures await your arrival: discover the top-ten attractions of Athens by foot, explore the city’s best restaurants and bars that are literally around the corner, while you can also check out the city’s vibrant shopping scene. Should you want to venture out a bit further, also within easy reach by metro, train or tram, are the areas of Gazi, a lively place for leisure throughout the day and night, the more posh suburb of Kifissia, the coastal Glyfada and the Athenian riviera’s beaches, while the Airport and Piraeus port are also conveniently accessible. Just around the hotel are plenty of restaurants – from Greek to Thai – as well as Athens' main shopping boulevard, Ermou Street. For dining out, the reception can recommend some really good spots that are more local and less touristic. Ask for the traditional tavernas called 'Rebetadika' with live Greek music for a special experience. You'll love the traditional neighborhood of Psyrri that tourists don't know about, and the nearby trendy square of Agias Irinis that buzzes with cafés and nightspots. Within 10 or 15 minutes you can walk to a dozen museums, numerous night spots, different shopping areas, cinemas and ancient sites. The post office is steps away, so are various banks and pharmacies. Lastly, if you're a Greek speaker you'll love the theatre scene in Downtown Athens. Wherever you are in the city, just grab a taxi and ask it to take you to 11 Mitropoleos Street where the Pan Hotel stands proud. This famous street in Downtown which is home to main Athens church, the Mitropolis, and is easy to find just off the city's main square. Take Bus X95 from the departures terminal and get off at the last stop (50 minutes) on Othonos Street, right on Syntagma Square. The same street becomes Mitropoleos once you cross Filellinon Street, and the hotel is just three minutes down the road on you left-hand side. You can also take the metro directly from the airport to Syntagma Square, or a taxi directly to the hotel. Make your way to the green line of the metro and get off at Monastiraki station (20 minutes). Take Mitropoleos Street and you are then a five-minute walk up the road from the hotel which will be to your right.